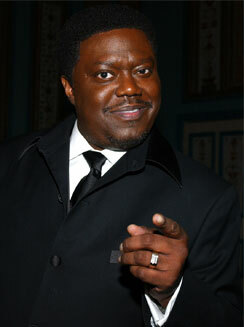 I am sad to report the passing of Bernie Mac. He was recently been hospitalized two weeks ago in Chicago, Illinois for lung infection and pneumonia. He died at the age of 50 and is survived by his wife Rhonda, daughter JeNiece and grand-daughter. Born Bernard Jeffery McCollough, he was always interesting in making people laugh. At the age of 20, Bernie decided to take this hobby into a full time career by doing local comedy show in his hometown of Chicago. At the age of 32, he won the Miller Lite Comedy Search which lead him to endless opportunities including HBO’s Def Comedy Jam where he gained a a huge spotlight. He eventually made his film debut as a doorman in “Mo Money” with Damon Wayans. Since then he has appeared in over 30 movies including Friday, The Kings of Comedy, Guess Who, Ocean’s Eleven and my favourite House Party 3 as the superloud Uncle. In 2001, Fox gave Bernie own television series lasting five seasons. He always stay true to his image and was not going to change for Hollywood. In Tribute, here are two of my favourite movie clips.